It is with the greatest sadness that we learn of the passing of our patron, the great Capt. 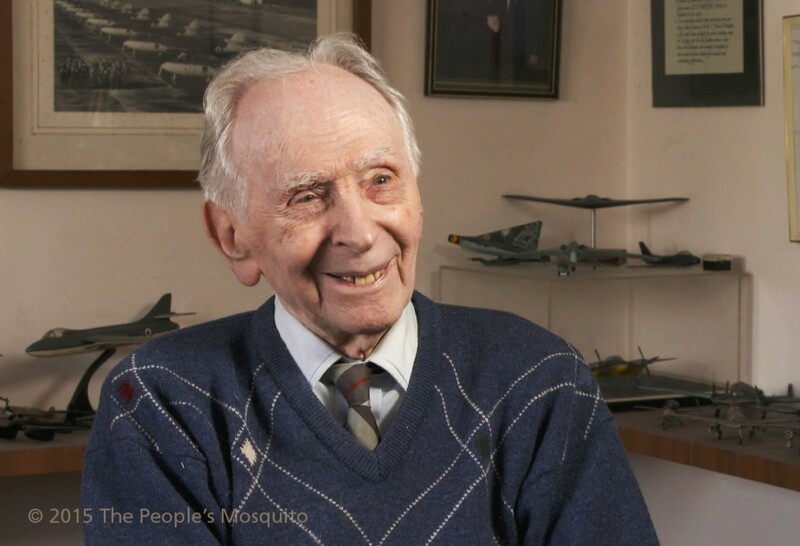 Eric Melrose ‘Winkle’ Brown RN, who has been a stoic supporter, valued advisor and friend to The People’s Mosquito project for the past eighteen months. He was one of the world’s most acclaimed test pilots, and held the world record for flying the greatest number of different types of aircraft, 487, and making the highest number of carrier landings, 2,407, of which, famously, one was the first Mosquito landing on in March 1944. 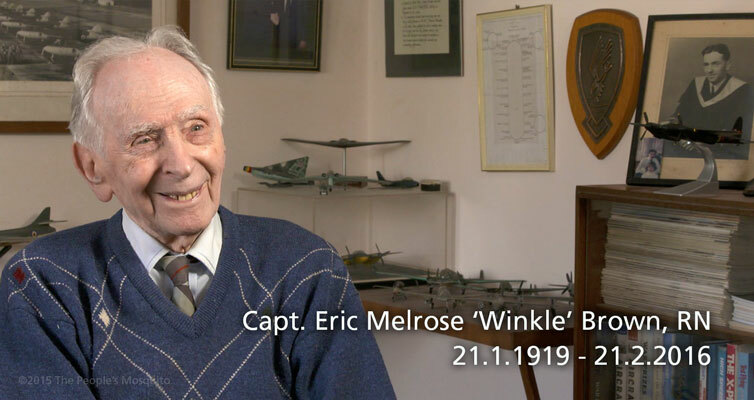 He was the Royal Navy’s most decorated pilot and during World War Two flew fighter aircraft and witnessed the liberation of Bergen Belsen concentration camp. Born in Leith on 21 January 1919, he was educated at Fettes College and the University of Edinburgh, where he learned to fly. His unerring effervescence and positivity will be greatly missed by all involved in the project. Thank you, sir, and may you rest in peace. A sad loss. Will be missed.